If your WordPress website takes more than 3 seconds to load its no good news for your business. Slow website leads to increased bounce rate, drop in search engine rankings & poor UX. WordPress is a great platform if you use it the right way. 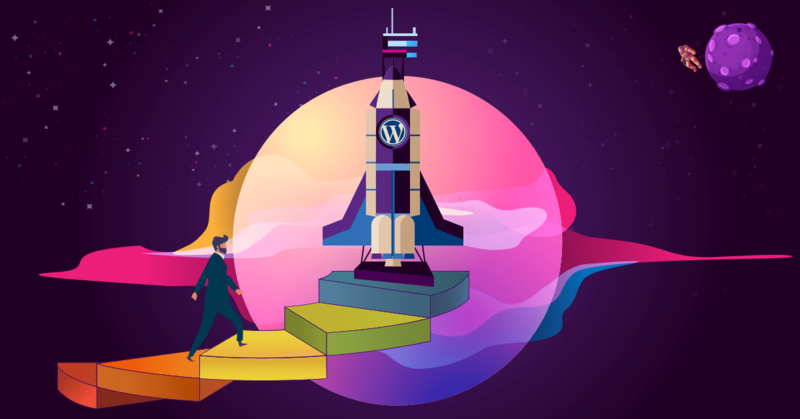 This guide on “Speeding up your WordPress Website” will help you optimise the most important factors slowing down your WordPress website. GTMetrix & Google PageSpeed Insights are the most popular tools to test page speed of any website. Google PageSpeed Insights is my personal favourite. These tools will get you a detailed report on what issues you have to resolve to speed up your website. More than 70% of WordPress websites are using pre-built templates from market places. Testing it with Google PageSpeed insights you will shock you! Mobile page speed score will be less than 50%. Thats because of tons of modules that comes as features which you will never use. Unless you use a good WordPress theme you will be landing in a no-mans land. It will be nightmare to optimise your WordPress website. So choose your WordPress theme wisely! I prefer a custom built theme. You will have complete control over the theme and optimise it for performance. You can compress and serve scaled images. I use compressjpeg.com to compress jpeg and compresspng.com to compress png. You can use modern day image formats like WebP, JPEG XR or JPEG 2000. You have to be aware of the fact browsers like Mozilla and Safari are not supporting WebP. Use fewer JS & CSS files. Lesser the request will lead to better performance. Deferring blocking CSS & JS files will allow the browser to print the page immediately. You can use defer attribute to defer your JS files and pass css path using JS after detecting page load. Using image sprites will reduce the number of requests your web page has. Combine social media icons and other icons into one image. This will show a drastic improvement in performance. We accomplished this in Dezvolta’s official website. We combined 30+ images into one image sprite reducing 29 extra requests. If your website has lots of images? Lazy load your images so your images will render only when the user scrolls to that section. You can see a jump in performance as soon as you use this technique. Refer this article on Google which explains how to lazy load images & video. Copy & paste the following lines in your .htaccess file. This will enable Gzip & leverage browser caching. Slider Revolution will slow down your WordPress website. You can consider simple alternatives like owl carousel or any custom sliders. Yoast SEO is the most popular SEO plugin. If you replace it with All in One SEO you can see 10% jump in Google PageSpeed Score. PHP 7 is twice as fast as PHP 5. It has better memory consumption than PHP 5. Your WordPress will run lot faster in PHP 7. You can avoid latency issues by investing on the right CDN. Our visitors are from Europe, US & India so our CDN locations are North America, Europe & Tokyo. If you are looking for cost effective & easy to use option i recommend BunnyCDN. Uninstall unused plugins. If you follow the above steps you don’t even need a caching plugin. We don’t use a caching plugin for our website. If you are a developer you can use these tips to optimise your website. If not, you may hire a best website development company or a WordPress expert who can fix it for you. Looking for tips to choose the right web design company? Refer “how to choose a web design company” to choose the best web design company. Hope you found it is useful!